If you have always wanted to try writing with a fountain pen, here is the perfect opportunity. Schmidt Technology has a worldwide reputation for the smoothest stainless steel nibs in the industry. 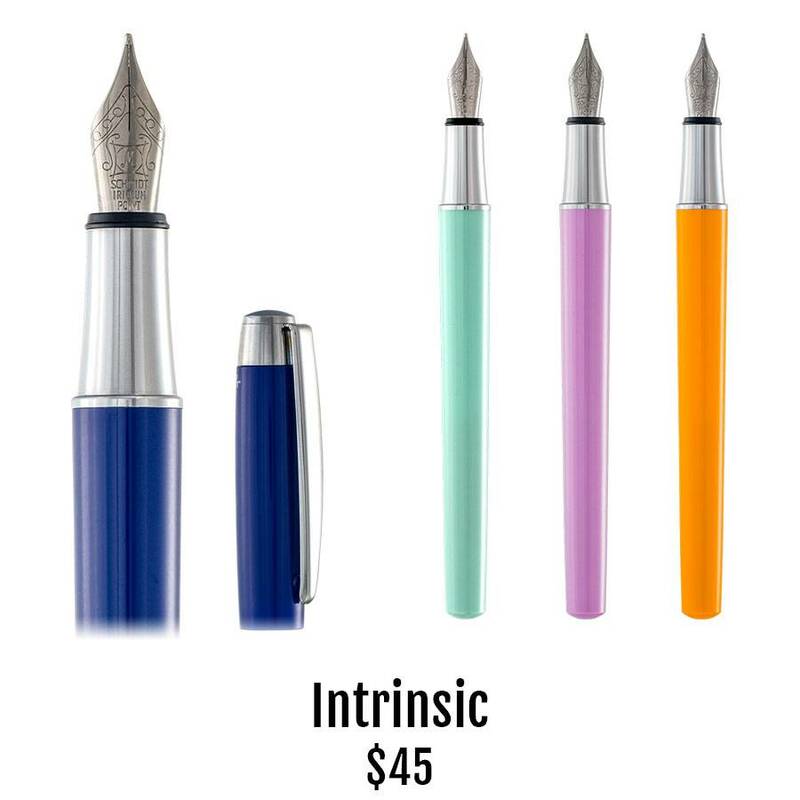 They have attached this fine or medium nib to a basic pen body that comes in all these unique and beautiful colors. Inspire someone else in your life to give fountain pen writing a try by adding lots of international-sized ink cartridges in all the fun colors.